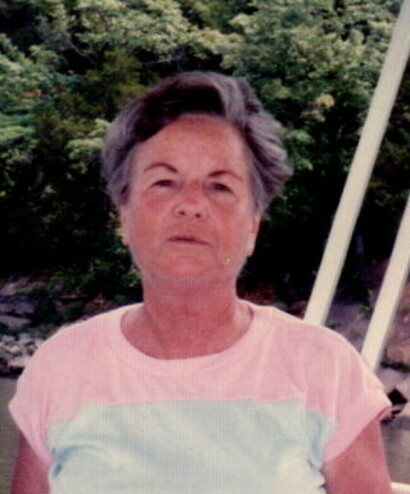 Oleta Hester Folmar, age 87, of Troy died Tuesday, April 9, 2019 in Troy. Oleta was born to the late Oscar and Ophelia Bundy Hester. She was also preceded in death by her husbands, Robert Folmar , Andrew Wertz and several brothers and sisters. A funeral service will be held Saturday, April 13, 2019 at 2:00 PM in the chapel of Green Hills Funeral Home with Reverend Keith Price officiating. Burial will follow in the Green Hills Memorial Park Cemetery. Visitation will be held 1 hour prior to the service at the funeral home. Her survivors include; her children, Ann Folmar of Troy, Bobbie Cook of Troy, Lyn Folmar (Frank) of Goshen, Robert Folmar (Judy) of Pensacola, FL, her siblings, Edd Hester and Mary Smith, her grandchildren, Deidra Meeks (Hugh), Stacey Morrison (James), Davis McLeod II, Phillip Davis (Amanda) and Carla Smilie, 9 great grandchildren and many nieces and nephews. The staff of Green Hills Funeral Home is honored to serve the Folmar family.